This time I knocked off an overwhelming ~38 seconds and went sub 30 minutes to come in at a time of 29:46.123. Having set new scores for the 5 latter Foundry courses, I have now uploaded a total of 42 videos. 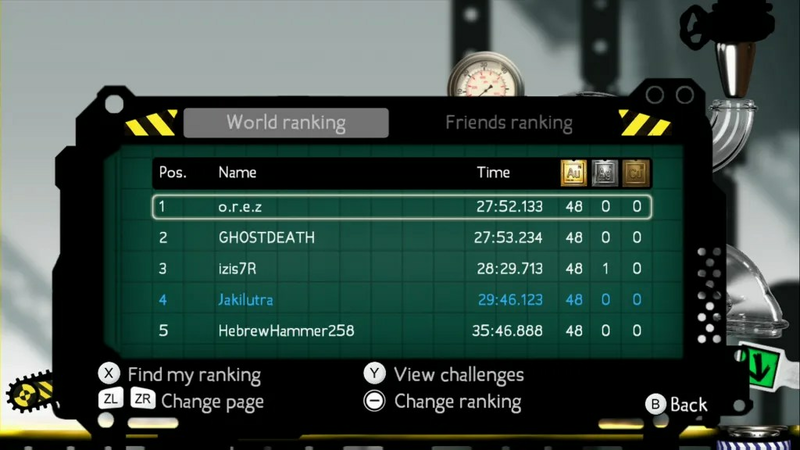 This entry was posted in Puddle (Wii U). Bookmark the permalink.